Cars are very expensive investments and are subject to wear and tear in their normal usage. 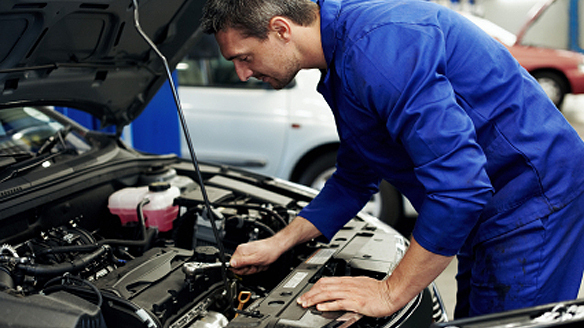 For the sake of your finances it is important to keep a car running for as long as possible before buying a new one. This is not difficult to do by following some simple guidelines. The very first thing that it is important to do if trying to maintain a car for as long as possible is to invest in a great car to begin with. This will involve shopping around and researching which types of cars are the most prone to repairs and which types of cars are generally trustworthy and reliable. It may also help to talk to owners of such cars and find their own personal experiences. Internet forums are a great place to find out about any problems that can affect a particular model. Do not neglect to ask the advice of car experts – they will be able to give advice on which cars will be more prone to breaking down or needing parts replacing. Many makes and models of cars have specific weak areas that are prone to damage or wear and tear. Owners clubs online hold a great wealth of information about such problems and will allow any car owner to prevent such problems on their own cars. Even if prevention is not always possible, it still helps to be prepared and anticipate the cost of repairs to any particular part. At this stage it is important to choose a car based on its reliability and not on its looks. When looking for a car that is easy to maintain for a long period of time looks should not generally be a major consideration. Every car buff has a moment where they fall down what we like to call the DIY rabbit hole. In other words, they get so wrapped up in fixing things on their car that they feel like they can ditch the garage and do a lot of things on their own. 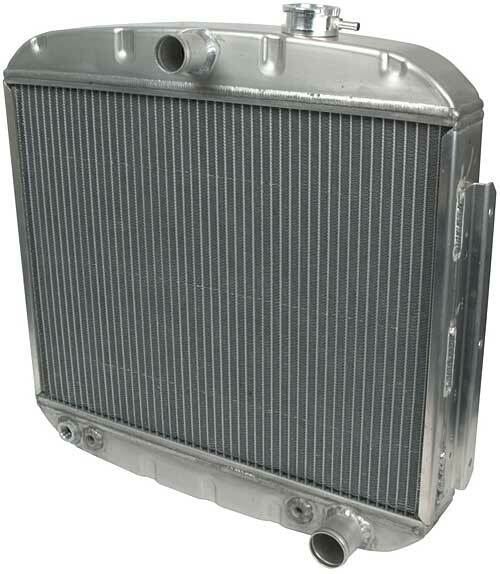 If you’re itching for a project, you may want to consider replacing your radiator. Here’s the deal: leaking coolant sooner or later becomes a major problem that can actually ruin that big nice engine that you just had dropped in. Most people don’t think about the radiator, until they start smelling a smoky sweet smell in the air. That’s your coolant leaking out of the vehicle, and you’re going to have to park the car and figure out what’s wrong. Popping the bonnet will almost seem like a silly idea, because you may not see anything noticeable for a while. If you get back to your DIY spot and you need to handle the radiator, here’s what you need to do. Propshafts. If you’re a car enthusiast, you already know that the propshaft is what helps bring the drive train to life, and therefore driving in general. It’s all about the torque, baby. But if you aren’t careful, you have to make sure that you keep a good eye on your propshafts, because they are susceptible to a lot of stress. You have not only shear stress, but torsion as well. Everything also has to be weighted properly, because if a driving shaft is too heavy, it would drag on the other components of the drive train too much. But enough physics. 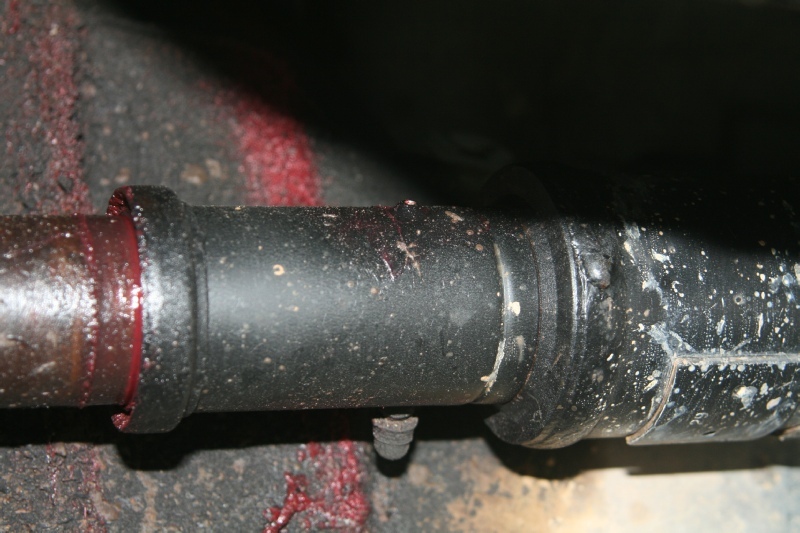 You need to know how to protect your prop shaft more than you need to know about how all of the mechanics work. There are a few tips that you ought to keep in mind when you’re trying to keep the parts working well for a long time to come. Whether you are looking for auto repair in London, Manchester, or Los Angeles, finding a decent and dependable mechanic can be tough. While there are many skilled and honest mechanics, there are lots of ways in which auto repair technicians can take advantage of their customers. Here are some simple things that you can do to become an informed customer and find a dependable auto shop. The most vulnerable consumers in this industry are the ones that are least familiar with the inner workings of automobiles. While it is true that cars can be complicated, it is also true that they all operate on roughly the same principles. Though the world of engine mechanics is a wide one and full of diversity, consumers need only know the basics of auto repair and a few specifics regarding their personal vehicles to greatly decrease their vulnerabilities. Learning about your vehicle and how it works takes time. Enlist the help of a friend that knows his or her way around an engine and be willing to get your hands dirty. There are books that are printed for every vehicle that clearly outline the steps to diagnose and repair almost anything. Doing simple repairs or maintenance yourself can be a fantastic way to get to know your vehicle and save on labor costs. Which mechanics have done the best work for you? Have you felt slighted by any repair shops? If so, which ones and why? Have you ever used a mechanic that did extra work for free? Does your mechanic explain the problems thoroughly before doing the work? Have you ever had to take your vehicle back to the shop because there were still problems? If so, what was that experience like? A survey by OSV Ltd suggests that car buyers are less likely to buy a car that has recently been recalled. The survey also shows that Toyota is the brand most remembered when considering car recalls. London, UK (3 July, 2015) – OSV Ltd – An overwhelming 74 percent of the UK population said they would not consider buying a car that had been recently recalled. According to the survey carried out by OSV Ltd, car sales for Toyota could be the most affected as 27% of the survey respondents named Toyota as a car brand that had suffered from recalls. But, when asked if generally they cared about the unprecedented amount of car recalls, 68 percent of respondents answered no and only 32 percent answered yes. That being said if you’re current car has escaped being recalled or you’re not on the look out for a new car, it’s fair to say that you probably aren’t interested in the millions of other cars out there that have been recalled. Interestingly, only 22 percent of men would consider a car that had been recalled whereas 35 percent of women would consider buying a car that had recently been affected. Another surprising insight found is that a whopping 91 percent of 18-24 year olds would not consider a car that had been recalled, with only 9 percent admitting they would consider a recalled vehicle. The figures also show that those between the age of 55-64 are most interested in the car recall crisis with 33% admitting they care. On the other end, those that cared the least were between the ages of 35-44, with only 14% stating that they care. 54 percent of those surveyed said they could not name a car or brand that had recently been recalled. But some of the cars and brands that were mentioned include Toyota (27%), Honda (5.7%), Renault (3.8%), Nissan (3.8%), Ford (1.9%) and Vauxhall (1.9%). Unfortunately for Toyota, the Yaris and Prius were the cars most mentioned, followed by the Civic, Clio, Captur and Micra. OSV are the UK’s best independent vehicle supply professionals, providing every funding method imaginable. Trading since 1997, we have the experience to provide our customers with the highest level of service and are proud to be members of the British Vehicle Rental and Leasing Association. There will be times when you need to take your car to a professional if you want to get the upholstery cleaned or repaired. Hey, life happens. Kids or animals may toss their cookies in the back seat. You might spill your coffee when someone cuts you off on the freeway. And even regular wear and tear can lead to literal tears in the fabric or leather of your upholstery. In these cases you simply might not have the expertise to get your seats back in ship-shape. But for the most part, the average car owner can clean and maintain car upholstery in the meantime, combatting the dust, dirt, grime and aging that occur naturally. And here are just a few tips to help you keep your vehicle’s interior looking new for years to come. Set up a schedule. Just as you likely clean the exterior of your car on a regular basis (once a week, once a month, or “as needed”), you should set up a schedule for cleaning and maintenance on the interior. This will ensure that dust and dirt don’t have the opportunity to settle into cracks and crevices, that stains don’t go untreated, that leather remains conditioned, and that everything is protected from the elements. Clear the clutter. The first step towards ensuring that your upholstery remains clean is to clear away all the junk that builds up in the interior of your car. This means tossing any trash, pulling out the pile of CDs and jackets that has grown over the last month, and vacuuming every inch of the interior. You’ll want to get down in the seats in order to ensure that every crumb of fast food is sucked up in your shop vac so it never has the chance to fester and damage your seats or create lingering odors. Whether you use a car for business or for pleasure you need to take steps to help it stay in good condition. Its necessary to be a considerate and caring vehicle owner if you don’t want to find yourself faced with buying a replacement in the near future. Bad car owners will have problems that cost a lot of money to fix so become responsible and use these tips to ensure you get the most out of your financial commitment. Everyone who has a vehicle should spend time learning whats going on in the engine and discover what it looks like under the hood at the very least. As soon as you get on the driveway pop the hood and spend time examining the engine, look at all the hoses and take a walk around so you can examine the body. When you are familiar with the vehicle it is much easier to spot problems if and when they occur in the future. You don’t have to become a qualified mechanic but it is worth learning the basics in vehicle care. Learn how to change the oil and the oil filter as this is something you will need to do quite often. Check it once a month and always before you head off on a longer than usual journey. Another job to master is the changing of the air filter as they can become clogged and result in a poor performance from the engine. You will be paying more in fuel and the engine can become damaged so put this on the top of your things to learn priority list.